The propeller set is designed for Xiaomi MiTu RC drone, featuring with high quality and durable performance, and can effectively reduce friction resistance with air. It is the best choice for you to have fun. 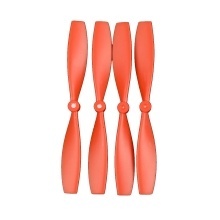 The replacement propellers are designed for Xiaomi MiTu drone.